Normally, when you are injured or become ill, and you visit a doctor, you can expect a certain level of confidentiality in your communications with your medical practitioner. However, this is not the case in a workers’ compensation evaluation, and many are unaware of this until the moment their insurer references their medical records. Understanding where confidentiality laws diverge from the norm can make a big difference in whether your petition is approved or denied. In most situations, doctors have a vested interest in keeping patient information private, as patients would be less inclined to trust their doctors if their information might become public knowledge, leading to a possible dip in the quality of care. Low quality care is a problem for both patient and professional. 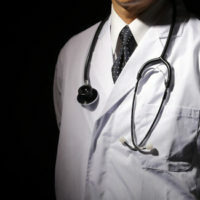 However, in a workers’ compensation case, it is not only the patient who is interested in the outcome of any relevant procedure or other type of care – your employer, their insurer, and any other interested parties have a vested interest in having access to your medical records in that situation. Because there is an appropriate reason for so many people to be aware of your medical information – namely that an insurer cannot accurately assess your case without it – your confidentiality privileges are relaxed, but only for those ailments “reasonably related” to the injury for which you are claiming compensation. If you happen to injure yourself in an unrelated incident while your workers’ compensation case is still pending, that injury will be between you and your doctor entirely. One important thing you must understand regarding doctor-patient confidentiality or lack thereof is that sometimes, there may be conversations to which you are not privy. These are called ex parte communications, and they may occur between your doctor and any interested party in your case – the insurer’s representative, your employer, and so on. It may seem as though this is a violation of privacy, but it is permitted under Florida law in the name of expediency and information-sharing. Ex parte communications used to be barred, but later jurisprudence overturned the relevant case law. Either way, as of this writing, ex parte communications with any relevant and/or interested party are considered acceptable in most workers’ compensation cases. There is, however, an exception to this rule, and that is that such information may not be shared with Expert Medical Advisors (EMAs). EMAs are advisors called in by the Workers’ Compensation Commission when certain medical facts are in dispute, or when a clarification on the medical evidence is needed. Since these are employees of the governing body who may have a direct say in approving or denying your claim, it would be unethical to share any relevant medical information with them. Workers’ compensation cases are difficult for most people to get through – between physical pain and mental exhaustion, they can take a toll on anyone. A skilled Winter Park workers’ compensation attorney can help you shoulder the load. The dedicated workers’ compensation lawyers at the Hornsby Law Group are waiting for your call. Contact us today.